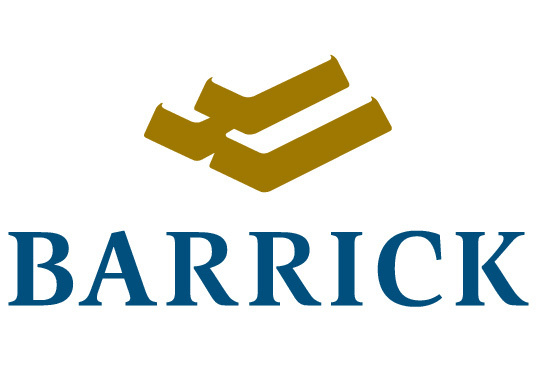 Editor’s note: Related tickers: Barrick Gold Corporation (USA) (NYSE:ABX), Oracle Corporation (NASDAQ:ORCL), Hewlett-Packard Company (NYSE:HPQ), Rite Aid Corporation (NYSE:RAD), Vertex Pharmaceuticals Incorporated (NASDAQ:VRTX). After the markets closed, it’s time to take a look at the stocks which ended with the highest turnovers. Since these stocks are the most traded, they can reveal us something about the market trends and and which stocks are the most popular, and more importantly, why these securities have been changing hands so quickly. Among most traded stocks on Friday were the following companies: Barrick Gold Corporation (USA) (NYSE:ABX), Oracle Corporation (NASDAQ:ORCL), Hewlett-Packard Company (NYSE:HPQ), Rite Aid Corporation (NYSE:RAD), and Vertex Pharmaceuticals Incorporated (NASDAQ:VRTX). Dell Inc. (NASDAQ:DELL) slid by 3.94% to $13.40 in turnover worth $93.8 million. According to Yahoo! News, Reuters reported that Blackstone Group LP quit chasing Dell Inc. (NASDAQ:DELL), which gave an easier possibility for Michael Dell and his private equity partner Silver Lake to purchase Dell under a $24.4 billion. “Blackstone withdrew citing an unprecedented 14 percent drop in industry PC sales in the first quarter of 2013 and a lower earnings forecast by the Dell’s management, which saw operating income dropping from $3.7 billion to $3 billion in the current fiscal year, one of the sources said,” the statement on Yahoo! News said. Oracle Corporation (NASDAQ:ORCL) increased by 0.78% to $32.37 in turnover worth 29.8 million. Recently the company has made some big changes in its JAVA software meant to secure the vulnerable points, which are the frequent aim of many attackers, US Market Buzz Media Group said. Altogether, Oracle Corporation (NASDAQ:ORCL) updated 42 weak points, 39 of them being of very serious nature. Oracle Corporation (NASDAQ:ORCL) has deployed a cleanup program to make its products as safer against attacks as possible. Hewlett-Packard Company (NYSE:HPQ) lost 3.22% to $19.56 in deals worth about $26.8 million. Hewlett-Packard Company (NYSE:HPQ) was the leader in the global PC market, having about 12 million shipments in the first quarter, which represent 15.7% of the total PC market, Insider Monkey said earlier. However year-on-year shipments dropped by 23.7%, which affected badly the Hewlett-Packard Company (NYSE:HPQ). The company produced most of its revenue, $35.6 billion from the Personal Systems segment (notebooks and desktops). Vertex Pharmaceuticals Incorporated (NASDAQ:VRTX) surged by 61.91% to $85.60 in turnover of $24.8 million. Vertex Pharmaceuticals Incorporated (NASDAQ:VRTX) is also the highest gainer on the markets on Friday. The surge of the stock came on the back on some positive news regarding the drug VX-661, designed to treat cystic fibrosis, Reuters said. Wells Fargo analyst Brian Abrahams called the results as “impressive” and he projected the market for a dual cystic fibrosis treatment at more than $3 billion, Reuters added.